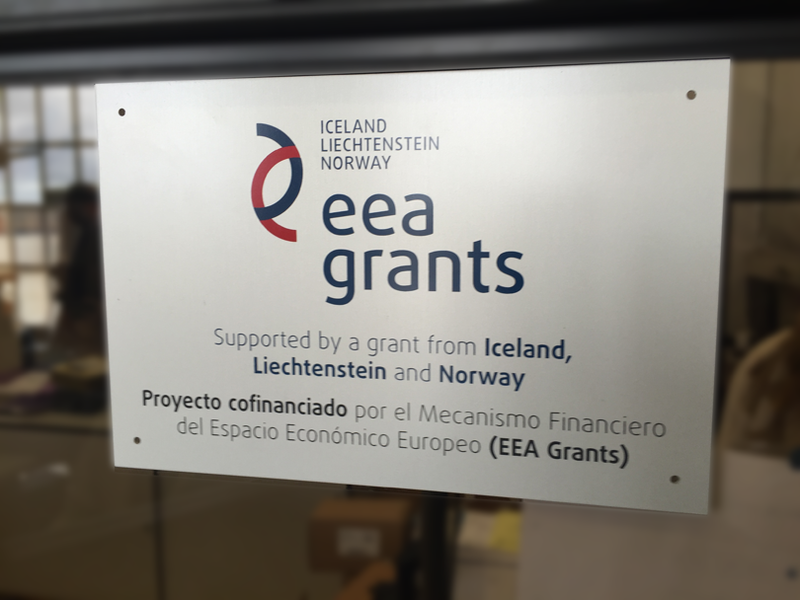 This project is financed by the Centre for the Development of Industrial Technology CDTI as part of the program eea grants signed by the European Union and Iceland, Liechtenstein and Norway. The program is intended primarily to research and development in the field of environment and climate change. 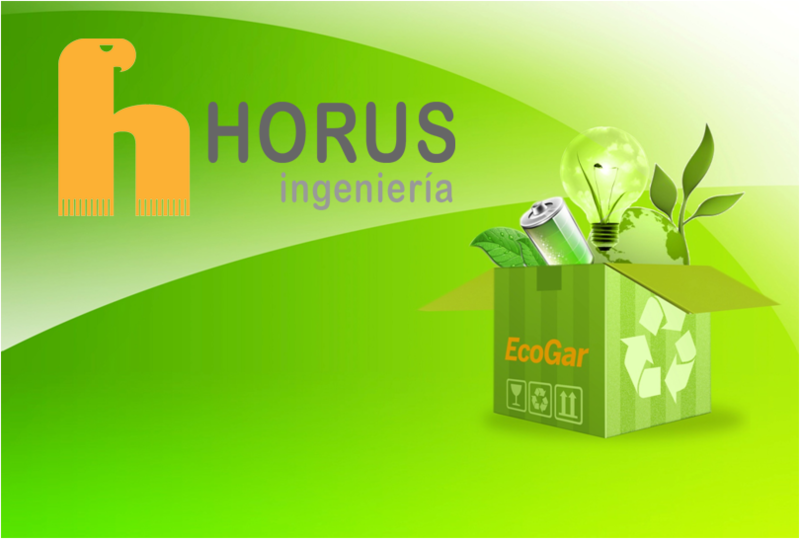 Ecogar is an integral and ecological electronic system that optimizes the combination of renewable energy generation, storage and regulation of electricity consumption in houses, without injection of power to the mains. The system focuses on the generation of electricity by respectful means to the environment, to meet the needs of a auto consumption coupled to the power grid, which provides the background energy needed in a household, organization or business. In this project, Horus Hardware S.A. has developed an electronic, integrated and ecological system that optimizes the combination of renewable energy generation, storage and regulation of electricity consumption in houses, without injection of power to the mains. The own consumption of electricity consists in generating electricity to be consumed in greater or lesser degree by the same producer, whether it is a home, an organization or a company. Current own consumption systems mainly tend to over-power generation in order to sell electricity companies the excess production, leaving in the background the generated energy management and running this management on behalf of the distribution network. This mode of production is very currently penalized, according to the new regulations established by the government, since power companies are forced to manage a large volume of energy, both produced in an uncontrolled manner in some cases, as at other times valley consumer where there overproduction. There are currently not on the market systems of renewable energy generation for grid-connected as the one proposed in this project. Currently, the maximum that they offer are devices that establish the possibility of a balance of energy exchanged between the user and power companies, with a ceiling of energy consumed and a toll to pay for the user whether the electricity is generated as if is consumed. This production mode raises operating costs of the system considerably and therefore hinders the amortization of equipment and expansion possibilities of the future of renewable energy. In addition, own consumption systems pursuing totally replace the network connection need been dimensioned as to power and storage capacity that make them economically unviable, because its components are exponentially more expensive. Research and development of a prototype that encompasses renewable energy generation, storage and distribution and regulating it to an optimized use and exclusive own consumption. Develop a equipment capable of harnessing all the energy generated by renewable energy systems for their own consumption without injecting to the mains but keeping the user connected to it. Develop a equipment that can join several power generating devices and that each work in their optimal conditions allowing a maximum reduction of losses. Harness the equipment to improve the power factor of the housing so that the apparent power consumption is reduced. Design a small size equipment capable of be located in a minimum of space. In turn, the design will take into account that the device to be silent and does not cause changes in the environment where it is located. Put economically accessible to most potential users an equipment of harnessing renewable energy for their own consumption without incurring in toll by the injection of energy to the mains, and that will mean a possible reduction in electricity bills of approximately 80%. The project objective is the development of a electronic prototype that encompass from receiving devices their renewable energy generation, storage and regulation and distribution of it. Electronic equipment for managing the energy produced, storage and supply to installation, adapted to the needs of consumption and to the mains. Storage batteries that can store energy in times when demand is poor. 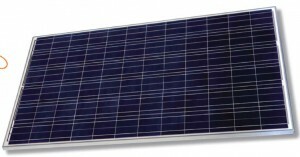 It is selected a Solar panel from Atersa, Spanish manufacturer from Elecnor group. The model A-305P 1965 * 990 and 72 cells. Each panel is capable of generating 305W peak with a 36.5v voltage at maximum power. In total a set of 10 panels was mounted that could generate a peak power 3050w. They were distributed in a series parallel assembly to provide a maximum voltage of 180V with 16amp peak intensities. The design of these panels allows placement on roofs or rooftop without the structure of them is affected due to its low weight, approximately 23 kg per panel. A vertical axis wind turbine was chosen, from Kliux manufacturer. It is capable of generating 1800W, with vertical shaft 3m x 2.36 m in diameter and only 32 dBA noise, rated at 11 m/s speed, starting from 3 m/s also. This wind turbine has a three-phase permanent magnet alternator. The alternator generates 380 vac in a star connection at full power. We has changed this scheme to triangle in order to generate 220 vac. Gel batteries for solar applications were selected. The model we has been used is LVJ75-12 of the Liven brand. They are made with AGM separator and silica gel. Technology silicagel has shown that increase the load cycles of the battery and cold weather performance. The number of deep discharge cycles is greatly increased compared to normal AGM batteries. Also they have very low internal impedance, a parameter which benefits the battery converter control as demonstrated in the simulation. We have chosen a model with 12 ah to be more manageable. The diagram shows the elements of the electronic equipment of Ecogar project. The single-phase output inverter has the function of coupling the output voltage of Ecogar electronic equipment to the network with phase synchronization and controlled current injection. Evaluate the power demanded by the consumer, and request the other Ecogar components the energy to be provided to inject to local network. This converter is designed to control the transfer of energy from the panels, bringing them to their maximum power point working for existing lighting conditions and temperature at all times. 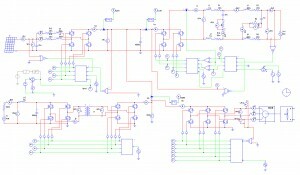 To control of the converter we use the H bridge as voltage booster, carrying the panel voltage between two points selected within the power curve to gain the maximun point. It is changing the voltage of the panel and checking at every moment the power output to reach the maximum power point, which is the working point for the panel. This operation is repeated every so often to find the new conditions of maximum power. Extract the power required of the panels, establishing, if the available power is lower, the point of maximum operating power. This converter is designed to control the transfer of energy from the wind turbine. It is designed to work with three-phase turbines. 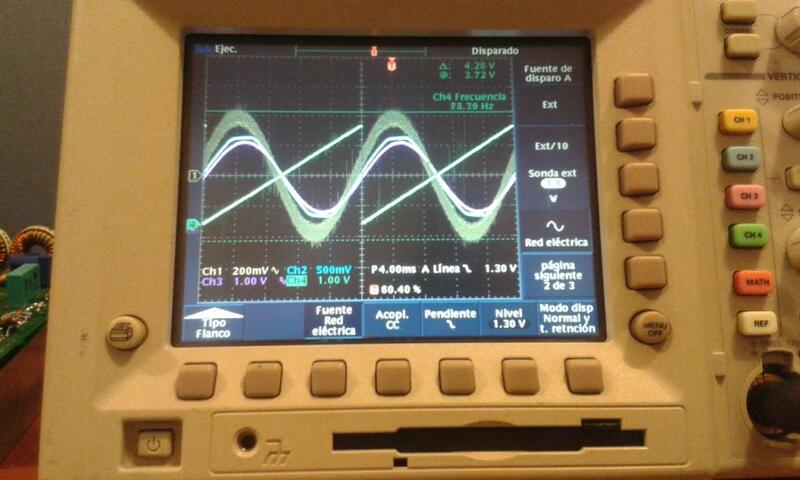 The inverter sets the value of the output current control using a hysteresis band. Extract the power required of the turbine, establishing, if the available power is lower, the search for the maximum operating power. 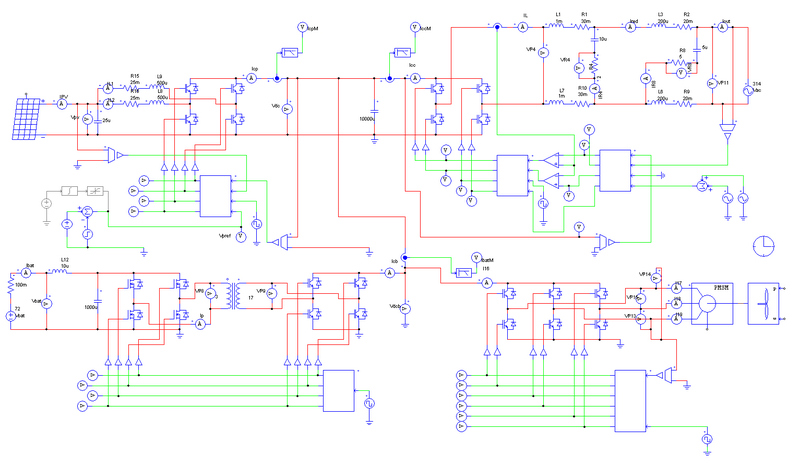 This converter is designed to control energy transfer from and to the batteries. The system includes a high frequency transformer that allows increase the voltage of the batteries to the level required to control the other elements of Ecogar system. 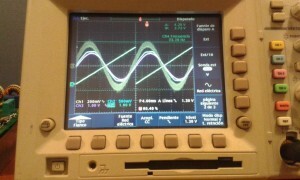 This high frequency transformer is between two converters, one of DC-AC and AC-DC other, allowing its operation. Generate referrals of available power at all times and the maximum permissible power to manage battery charge, preventing deep discharge and excessive loads above the manufacturer’s recommended level, thus allowing optimal operation with longer life cycle.